Just like when it comes to almost everything else we consume, it’s normal to want to go for certain brands or products that have been tried and tested. Whether it’s skin care, clothing, cars, food, fragrance, appliances, or personal effects, when it comes to cannabis, few people are ever up for experimenting with unsung heroes – in this case, strains. You’ve already heard and probably tried the reliable legends of the cannabis world: there’s Blue Dream, Northern Lights, Green Crack, and White Widow to name a few. But what about the lesser known but just as delicious and effective strains? There are lots out there, actually. If you’ve spent most of your money and time only smoking famous cannabis strains, here are 5 of the world’s most underrated strains that are definitely worth trying. You might even find your next favorite! LA Confidential is a potent indica that can give Granddaddy Purple a run for its money. With THC levels reaching as much as 25%, LA Confidential is undisputed in its strength and efficacy for treating insomnia, pain, and stress. As the love child of OG LA Affie and Afghani, it has many desirable uses and is ideal for patients who want to calm down both the mind and body and is recommended for evening/nighttime use. It has a gorgeous heavy wooden scent with hints of pine. Other great health benefits of LA Confidential include treatment for acute pain, anxiety, and depression. Tahoe OG Kush is known for its fast-acting and powerful euphoric effects. This hybrid is recommended for treating insomnia, anxiety, and general restlessness because it can naturally put you into a delicious tranquilized state. Tahoe OG Kush can knock out pain thanks to its heavy physical sedation, which makes this ideal for pain patients who have a hard time falling asleep. This is one strain you’ll want to use in the comfort of your own home. It’s also great for treating lack of appetite and stress. Skunk No. 1 is a strain that is responsible for parenting many of your favorite strains including Green Crack, Pineapple Chunk, Amnesia, Island Sweet Skunk, and much more. Terrific genetics are at play here, and it’s a shame that Skunk No. 1 remains to be one of the most underrated strains out there. For many, its skunky taste can be challenging to get by; it’s more of an acquired taste for many. But once you’ve gotten past it, you’re certainly smoking some history in there. Having been around since the late 70’s, Skunk No. 1 is a wonderful antidote for pain, loss of appetite, anxiety, and depression. This hybrid is a great daytime medication, but if you smoke enough it can knock you out efficiently for a restful sleep. J1 is a tasty sativa-dominant hybrid that goes well with your morning coffee. If you’re on the lookout for a new, energizing strain to try, make sure to check out J1. With parents like Skunk No. 1 and Jack Herer, you need no other reason than world-class genetics to give this strain a try. If that isn’t enough, consider that this strain is extremely uplifting, and it helps bring out your creative juices. J1 works well for treating fatigue, headaches, and pain. Due to its energizing properties, J1 is best consumed during the day; otherwise you might not be able to get to sleep. Berry White is an indica-dominant hybrid whose THC levels usually peak at around 22%. That makes its powerful high manageable even for newbies. It stands out for its refreshing pine and sour berry aroma coupled with a delicious taste with hints of spice. People love Berry White because it has the ability to make you feel euphoric, happy, and uplifted even after smoking a small amount. When you do consume large amounts, it can produce a strong body high, so if you plan to get very stoned just make sure that you stay home. Berry White’s side effects are mild compared to most other strains, which is another reason why this strain is user-friendly for novice consumers. Medically speaking, this strain works well in addressing pain and stress relief. What are you waiting for? Head over to your nearest dispensary and give these strains a try. 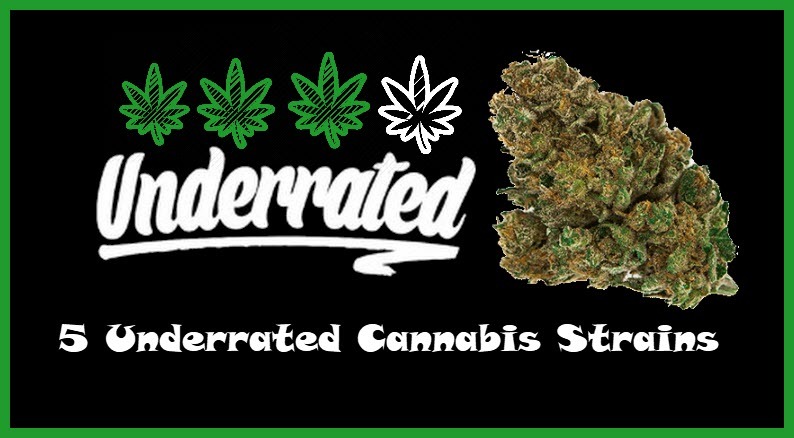 What are your favorite underrated cannabis strains? 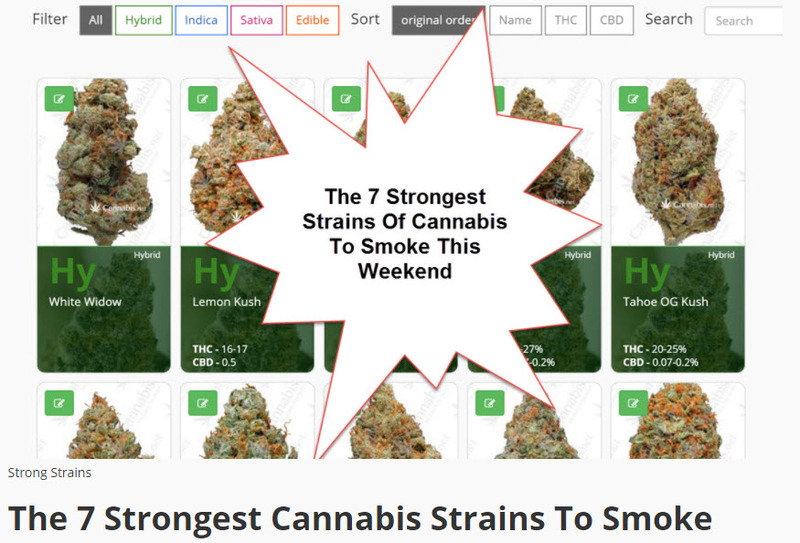 WHAT ARE THE STRONGEST CANNABIS STRAINS, CLICK HERE. BEST TASTING CANNABIS STRAINS, CLICK HERE. Cannabis, most, Strains, Underrated. Bookmark.